1948 Born in Buenos Aires, Argentina. 1969 Graduated from Faculty of Fine Arts in Damascus, Syria. 1977 Master degree in Sculpture at Surikov Higher Institute of Fine Arts, Moscow. Was born in Buenos Aires to a Syrian father and an Argentinean mother, and studied art & philosophy among three countries (Argentina, Syria & Russia). Al Bacha is currently based in Granada, where he has worked as a sculptor, writer and translator for years. Since first exhibiting in Syria in the mid 1960s, he has gone on to participate in solo and group shows around the world, in galleries and cultural centers from Cuba to South Korea. His recent solo exhibition at Tajalliyat Gallery in Damascus received rave reviews, confirming the local following that he has amassed over the past forty years. 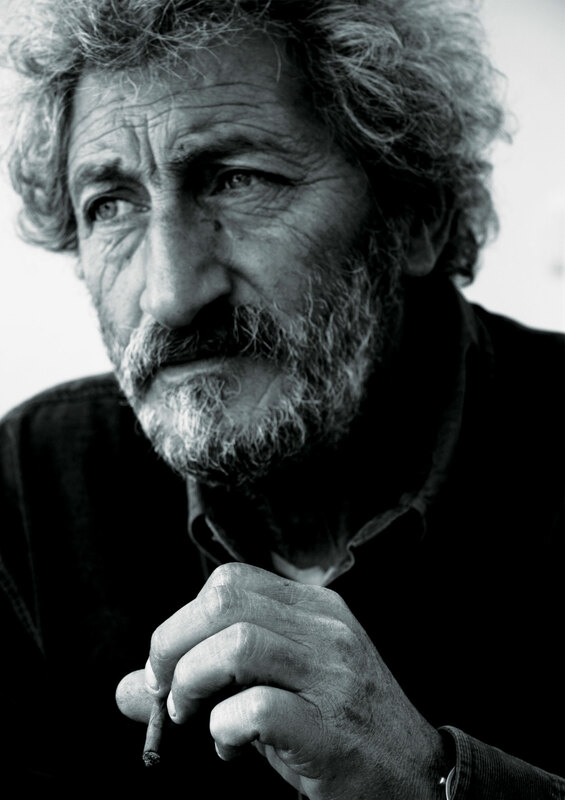 Often experimenting with different forms and techniques, Al bacha is known for his expressionist sculpture that explores a range of subjects and themes, most of which address the human experience. 1979 Arab Cultural Center in Damascus. 1980 Soviet Cultural Center, Damascus. 1987 “Farewell” exhibition in Ornina Gallery, Damascus. Cultural Center in Pinto, Madrid, Spain. 1988 Pablo Serrano gallery, Getafe, Spain. 1989 Santa Catalina gallery, Madrid, Spain. 1991 Cultural Center in Pinto, Spain. Cultural Center in Mulyadi Villalba, Spain. Center, Ishtar gallery, and Cervantes Institute. 1997 Jesus Puerto gallery, Granada, Spain. 2002 Art Center in Cairo, Egypt. 2010 Tajalliyat Art Gallery, Damascus, Syria. • Some of his works are in private collections in Italy, France, Spain, Egypt, United Arab Emirates, South Korea, Syria, Britain. al Symposium for Sculpture in Santiago de Cuba. glesias, Spain; Municipal acquired the artwork. sculpture in Yishun, South Korea. Dubai; wins the First Prize. Germany; the Cultural Center acquired the artwork. Portugal; Municipal acquire the artwork. ture in Madrid, Spain. Wins the First Prize. his artwork is exhibited in a public park. • Has many literary works, participated in the Arabic press, and translated many books into Arabic. • Participated in many forums and international cultural events.